Rotarian Natasha Pinto and her husband Rufus cut a dash on the dance floor with a lively jive. 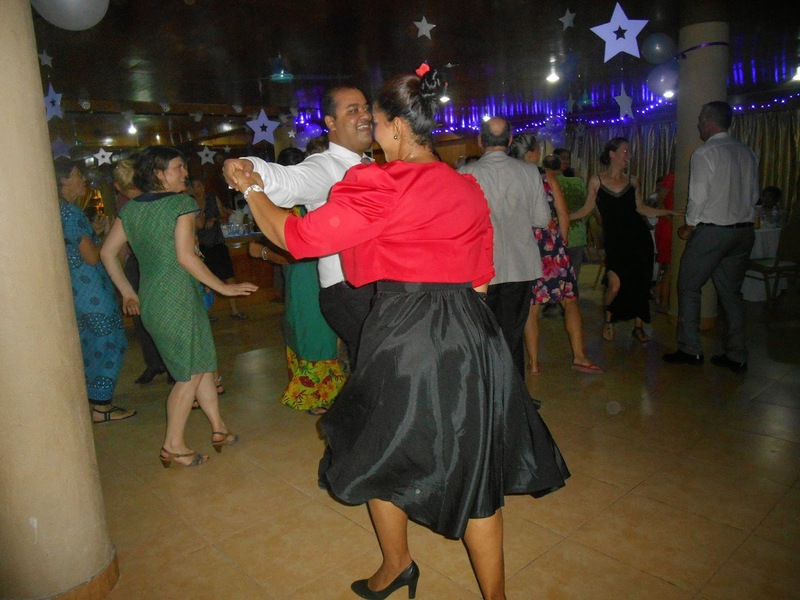 The Rotary Club of Bariki in the Republic of Kiribati (located in the Pacific Ocean close to the Equator in District 9920) hosted its first fundraising Valentine’s Day Dinner Dance on February 14. The special event was held at the Fairprice Golden Chinese Restaurant and all 100 tickets were sold. The MC for the evening was Rotary President Matirita Nabong. Entertainment was provided by the ANZ Kiribati Star Idols (2014), who performed individually and as a group, with songs in English, Kiribati and Hindi. Raffle prizes and items for the silent auction were generously donated by local businesses and individuals. After dinner there was dancing and revelers, including Assistant Governor George Fraser, “conga-ed” their way around the restaurant and outside. Luckily the rain held off for the evening. Everyone enjoyed themselves and several businesses have expressed interest in sponsoring similar events. Overall the Valentine’s Day Dinner Dance was a great success, raising almost AU$4000 to be shared between the Rotary International Global Eradication of Polio program and Kiribati’s ‘Te Meeria’ (Frangipani) Mental Health Service. Thanks are due to the organisers, Natasha Pinto, Roger Norton, Lynne Hunt and Gillian Duffy, as well as the small army of volunteers who helped put up lights and decorations to create a night to remember. With the success of this first dinner dance, the Rotary Club of Bairiki hopes to make it an annual fixture on the Tarawa social calendar.